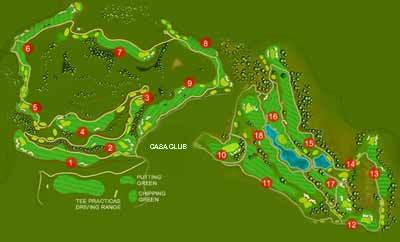 The main campus is located on uneven terrain, which gives it great personality, which added to the original design of the great Seve, make it challenging for the good player and great entertainment for the middle and high handicaps. Make 5 pairs hole three par fives and five par fours 8, all quite distinct from each other. Challenging, demanding, original and fun. Throughout these 18 holes you can enjoy the magnificent contrast between the manicured fairways, raffs and wilderness of the Sierra de Mijas. The second field, par 3, is a unique tour of its unique beauty and traceability. Not only a great place to start playing this sport, but is also perfect for train travel in the short game. The Clubhouse offers all kinds of services for golf practice. In the SPAplayers will find an innovative area with specific treatments, massages and a small gym. The restaurant “Hoyo 46” offers a full menu servings authentic Andalusian cuisine with international touches. For both gamers and non-gamers enjoy its stunning terrace is a privilege. Inside the Home Club must not forget the Pro Shop. 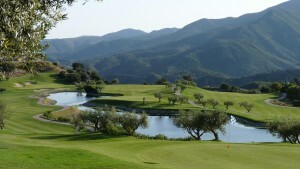 With a wide range of golfing equipment from leading brands that make it one of the most complete of Andalusia.